Have you got any idea what to buy for your love ones this coming festive season. Well, charms that can relate to your memorable experiences together is brilliant too. 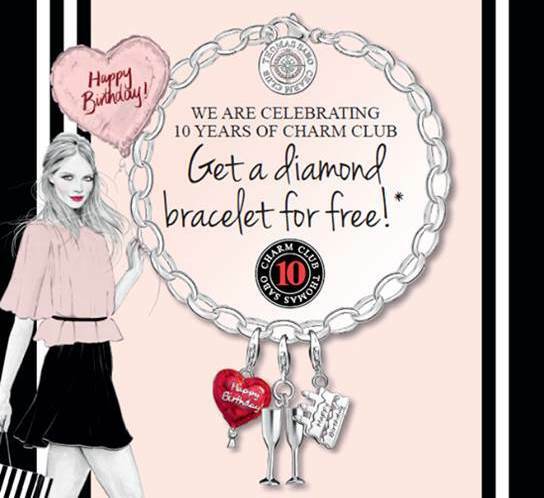 Thomas Sabo is celebrating its 10 years of charm club and you can receive a Charm Club Diamond Bracelet for free. Continue to read to know how you can claim it. When you purchase any items worth RM880 or more from the entire Thomas Sabo range, you will receive the Charm Club diamond bracelet for Free. The promotion period is from 29th October till 15th Nov 2015. While stock last.